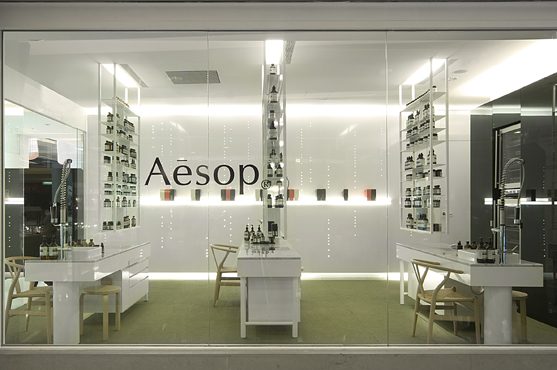 This is a retail signature store for an international skin and well being product brand Aesop. 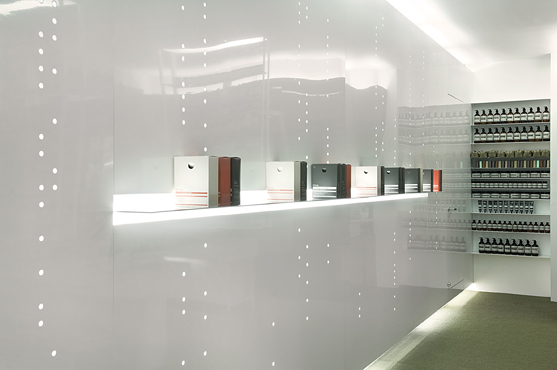 The store is located on the ground floor of the "Breeze Center" shopping mall in Taipei. 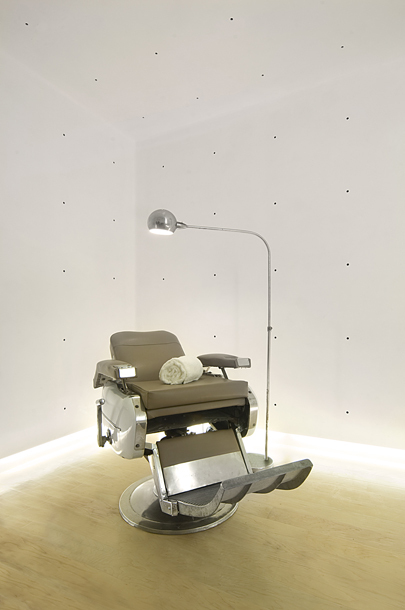 The floor area is about 50 m² which includes the retail area and an independent facial treatment room. 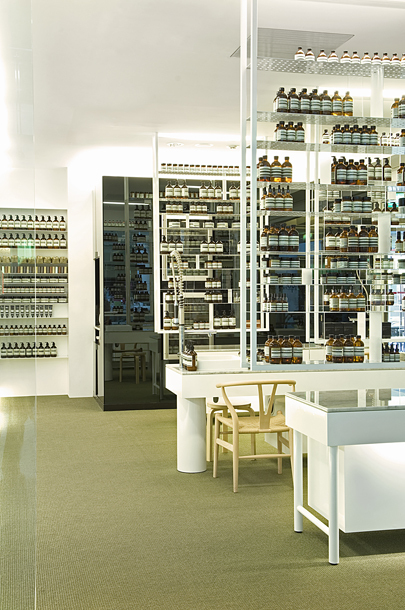 Aesop is an alternative skin care brand for its botanical-based, minimal and philosophical aesthetics which embodiment on its product, service and retail space. 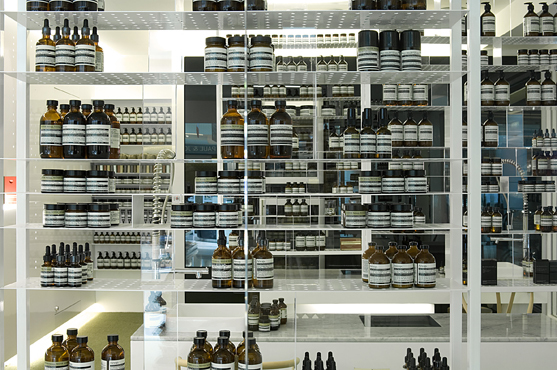 In order to represent Aesop's brand philosophy, the concepts of "library" and "laboratory" are combined to make a new type of display differentiate from other beauty stores. Three major hanging metal "bookshelves" are the main product display areas .Each "bookshelf" is paired with a long "reading table" as a consultation table for product experience and advice. 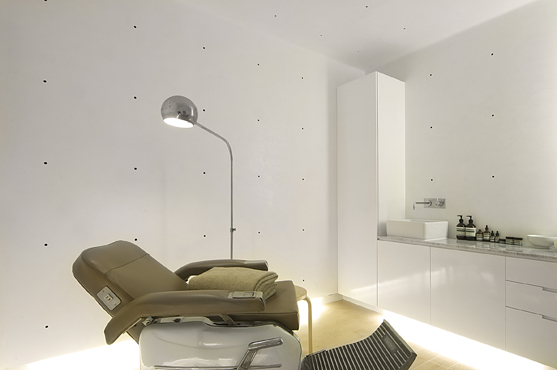 Beside the bookshelves is a "feature wall" which made with white, spray-painted metal panels with "rain drops holes" lit from within. The patterned holes represent both the flow of "water and information" giving this store an intellectual atmosphere.